Where to Buy Chlorpyrifos Granules, SA50 Chlorpyrifos 2.5% Granular Insecticide - 50 Lbs - $116.95 for Sale with Fast Free Shipping! 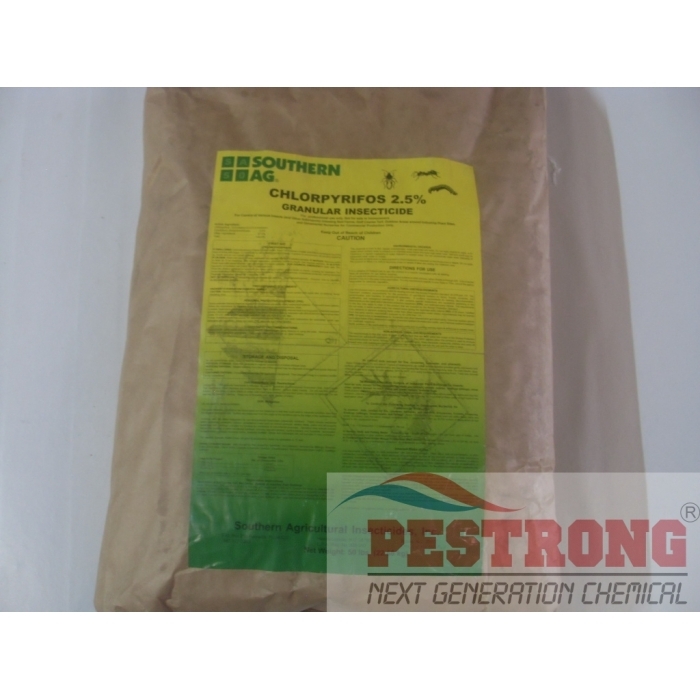 Chlorpyrifos 2.5% granular insecticide is intended for use in nurseries for commercial production only, golf course turf, sod farms, road medians and industrial plant sites to control ants, (except for fire, carpenter, harvester, and pharaoh), armyworms, crickets, cutworms, sowbugs (pillbugs), grasshoppers, clover mites, spiders (except for black widow and brown recluse), boxelder bugs and earwigs. Use any hand or power-operated gravity or rotary type spreader designed for application of granular materials. Looks like this product is working. No more fire ants on my backyard so far. Alpine WSG was easiest to use of the several different insecticides I have tried. It dissolved quickly and completely, tank mixed great and is very effective on the bugs. I love this unique product. small size is matching for me.